Jenna Lyons the president and creative director of J.Crew never disappoints. Love the preppy and eclectic style of this collection. The use of color, prints, and textures is just amazing that I could not take my eyes off these looks. I will definitely be wearing some of these looks once their hit the stores. I love J.Crew for their statement pants and prints: tweets, paisleys, and plaids--always unique. The shoes and the patterns are simply gorgeous. 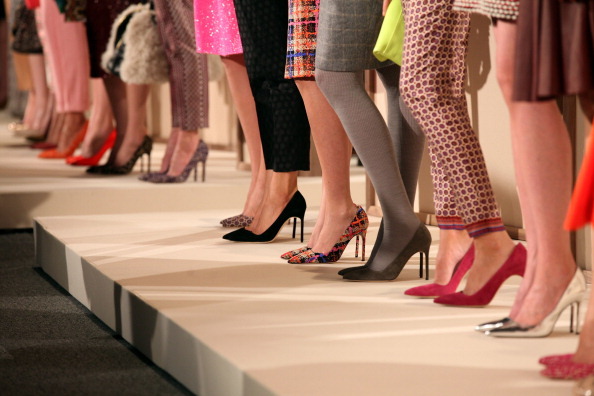 These are the new J.Crew collaboration with Manolo Blahnik. OMG!!! Thanks for sharing Stella!!! I think I LOVEEEEEEE EVERYTHING!!!! Loving the prints and pumps! Great collection!! above all, these pants!! Lovely pictures, and nice post! Gives all of us followers inspiration! i agree! every works well together flawlessly! Oh, there's a couple of things on here I'll be looking for come fall!! Like that striped sweater and that fur coat!!! I love this collection! Love the mix of different patterns, colors and texture.